Everyone wants to feel safe in their own home. Whenever you hear about a break-in in a neighbor’s house, the anxiety level seems to go up. Are you doing all you can to make your home secure? These eight amazing security tips could make a big difference. This one might seem like a no-brainer but it is one that is often overlooked by most homeowners. A survey of convicted burglars found that 90% of them would avoid homes with an alarm system that goes off. If you have a good alarm system that should extend to your windows as well. Although they sometimes might be a hassle all it takes is one prevented break-in to make it worth it all. Once that alarm system is set up, make sure you let the world know by putting up stickers on the windows or sign on the front lawn. It seems like not a week goes by without some crook being caught on camera. Those are the ones that aren’t so smart because often the cameras are often installed in plain sight. This is exactly what you want to do. Camera should go up on the outside and on the inside. The security camera outside your front door should also let you see who is at your door. Don’t open it unless you know who that person is. A burglar wants to get in and out of your house. The harder you make it for them to find stuff the longer they may stay. You could set up a decoy box of fake jewelry and some phony cash. Make it look like you’re hiding that box in a drawer. Chances are there grab it and go. Your front and backdoors should have deadbolts on them but don’t forget about the sliding doors. A piece of wood that fits into the door frame when it’s close will prevent it from being opened from the outside even if someone pops the lock. Don’t rely on chain locks. Just as burglars will run off if they hear an alarm blaring, they’ll also turn away if there blasted with light. Motion sensor lights are easy to install and should be hung above every entry point and over your garage door. The first thing a burglar is going to do is check out your house. 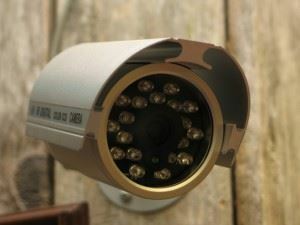 If they see junk in the yard, then they might think you are careless the rest of your security. There could also be some things in the yard that they would consider worth stealing like scrap metal or lumber. That’s why you should remove all the rubbish from the yard and thereby remove any temptation. Junk King Atlanta South can go a long way towards helping you cleanup all that rubbish. Although most of their appointments involve removing furniture and appliances, they do some great things with yard cleanup. For the sake of your home security, get rid of all the clutter from the inside and the outside. One call to Junk King Atlanta South gets it done. This entry was posted in Atlanta South Junk Removal and tagged clutter, home security, junk king, junk King Atlanta South, junk removal on June 30, 2017 by Junk King. Last updated June 30, 2017 .